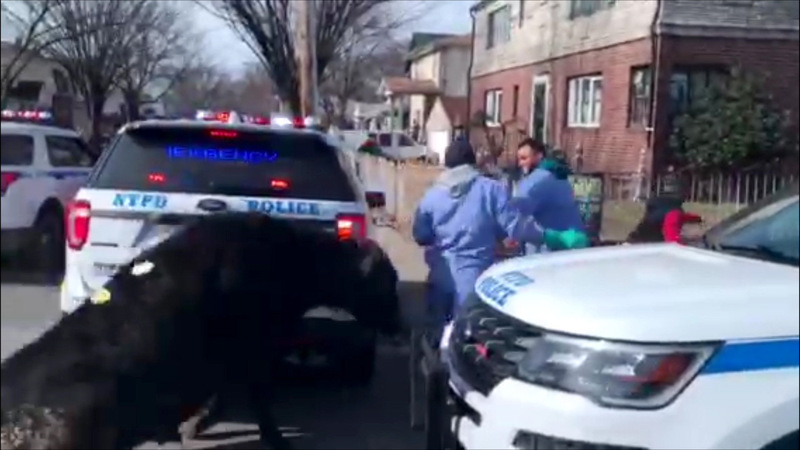 JAMAICA, Queens -- A loose bull that led police and other officials on a wild chase through the New York City borough of Queens Tuesday has died. The chase started just before 11 a.m., and officials quickly cornered it in a backyard on Marsden Street in Jamaica. Police officers were clearing the block in the event the bull escaped again. They managed to sedate the bull using darts -- but then it broke free again. It went on a run through the neighborhood, with police following it and trying to corner it. Finally, more than an hour later, police cornered the bull again and sedated it. It is now captured. It escaped from a slaughterhouse, officials said, and police were trying to get workers to come to the scene to capture it.